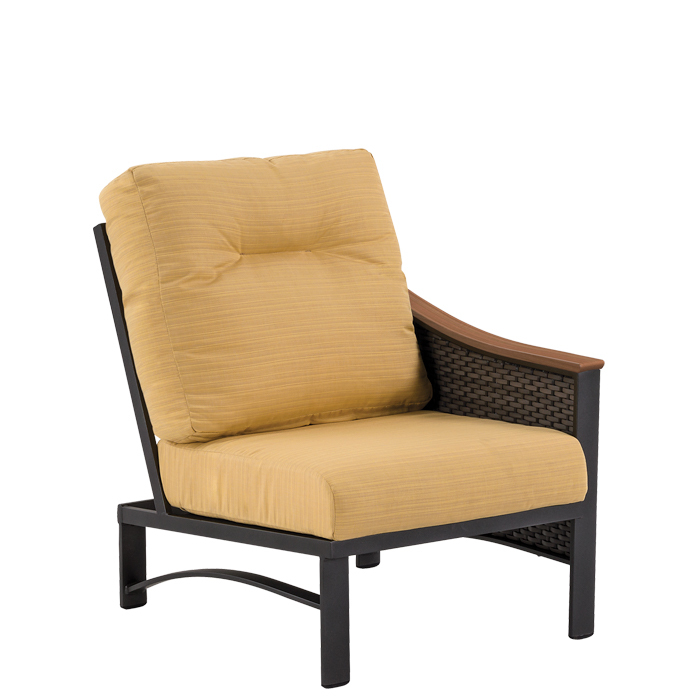 The Brazo Woven Left Arm Module exhibits a unique, transitional design, while demonstrating the utmost comfort in the market. Designed by Peter Homestead, the Brazo Woven Left Arm Module is an exemplary example of mixed media by featuring aluminum, faux wood, and woven elements together. The Brazo Woven Left Arm Module features a faux wood arm cap so that the arm will not burn you in the hot summer sun or freeze you in a winter chill. Pair with other modular pieces for a custom configuration to fit your space.